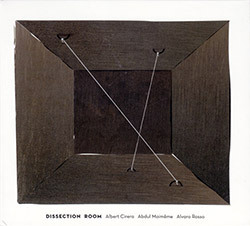 Based in Lisbon but formed of Spanish, Portuguese, and Uruguayan players, Dissection Room performs abstract experimental improvisation using saxophone (Cirera), electric guitar and objects (Moimeme) and double bass (Rosso), presenting an extended live performance at O'Culto da Ajuda in Lisbon in 2017, mysterious and dark sound and music of impressive skill and intent. 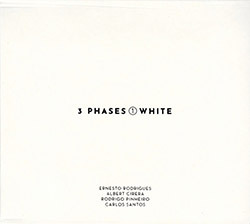 "3 Phases", or different aspects of the approach that violist Ernesto Rodrigues applies to improvisation, in three different groupings over three different days, all live at O'Culto da Ajuda, in Lisbon, Portugal in 2018, here in an ea-improv setting with Albert Cirera on tenor saxophone, Rodrigo Pinheiro on piano, & Carlos Santos on field recordings & sine waves. 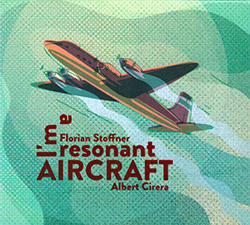 Swiss electric guitarist Florian Stoffner (Manuel Mengis Grupp) and Spanish/Portuguese saxophonist Albert Cirera (Agusti Fernandez Liquid Trio) present the 8 part "IRMA" in concise free improvisations, restrained but alert and quick-witted dialogs that explore their instruments with alternate approaches to each in articulate ways. 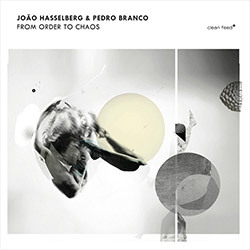 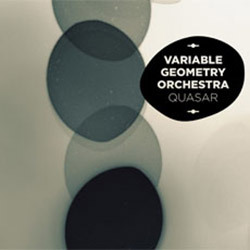 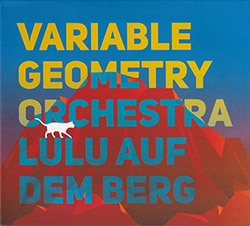 Primarily a bass and guitar duo between Portugese natives Joao Hasselberg, on double bass and electric, and electric guitarist Pedro Branco, here in their second album together of delicately sophisticated string improvisations, joined by a a great set of collaborators to expand the duo to trio and quartet.